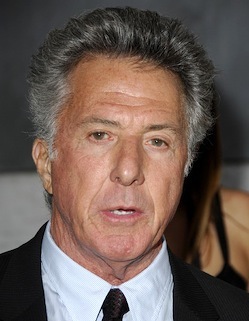 Dustin Hoffman to HBO; Piers Morgan to CNN? Deadwood creator David Milch, who's also a fixture at horse race tracks, will be combining business with a deep-seated knowledge of the subject in HBO's new Luck series. He's landed a thoroughbred in the starring role. HBO announced Wednesday that Dustin Hoffman will play the lead in Milch's "provocative look at horse racing -- the owners, gamblers, jockeys and diverse gaming industry players." Productions begins this fall, with Nick Nolte, Dennis Farina and Jason Gedrick also in the cast. ***It's looking very likely that America's Got Talent judge Piers Morgan will be CNN's successor to Larry King. On MSNBC's Wednesday edition of Morning Joe, NBC Universal chieftain Jeff Zucker said that Morgan has received permission to engage in talks with a rival network in return for his continued services on Talent for at least the next three summers. In other words, he'd somehow be doing both shows, although on live editions of Talent that could be a bit tricky. 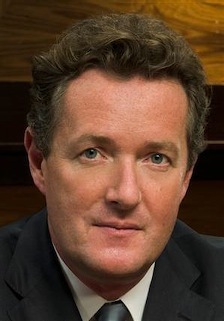 The New York Times also reported extensively Wednesday on CNN's apparent decision to go with Morgan, who has an interview show in the United Kingdom called Piers Morgan Life Stories. *** She's everywhere. Betty White will be guesting on NBC's Season 2 premiere of Community as "an esteemed, but slightly unhinged anthropology professor," the network announced Wednesday. White, an Emmy nominee for her recent hosting of the Peacock's Saturday Night Live, also co-stars in TV Land's Hot In Cleveland, which has been picked up for a second season. ***Larry Hagman, in J.R. Ewing guise, has a new spot for SolarWorld, in which he comes clean about green. "In the past it was always about the oil . . . Too dirty. I quit years ago," Hagman says. His "Shine, baby, shine" tagline precedes a somewhat self-conscious J.R. cackle at ad's end. You can see it here.